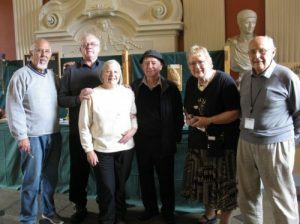 Six of our members enjoyed putting on an exhibition of our work in the Great Hall at Towneley, Burnley. The weather was mixed but we still had several hundred visitors. 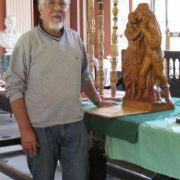 Our display showed a great variety of carvings; we showed the work of our very talented carvers such as Nick Pantelides with his large carvings and we also had a display by two of our members showing their progress from their first simple carvings progressing to their current work. Our members who set up the show : Nick Pantelides, Bryan Greenwood, Glynnis Cruice, Brian Keating, Gillian Smith and Richard Colbran.